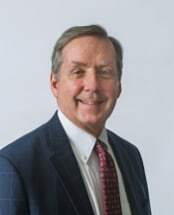 Jackson G. Kramer, a highly skilled, knowledgeable and trusted counselor who has over 33 years of legal experience, concentrates his practice in the areas of Corporate and Transactional, Real Estate, Estate Planning, Administration and Trusts, and Local Government and Public Utilities. He is a strong but reasonable advocate for his clients. His primary goal is to help his clients solve their legal issues and achieve their overall objectives while simultaneously protecting their best interests. Mr. Kramer has presented to various local groups on estate planning and business matters. Mr. Kramer recently completed a transaction lasting almost a year involving the transfer of former government owned land back to the private sector. Various easements and agreements with both governmental and private stakeholders complicated the process. He was a primary party responsible for coordinating the integral pieces of the transaction so that a closing could occur.